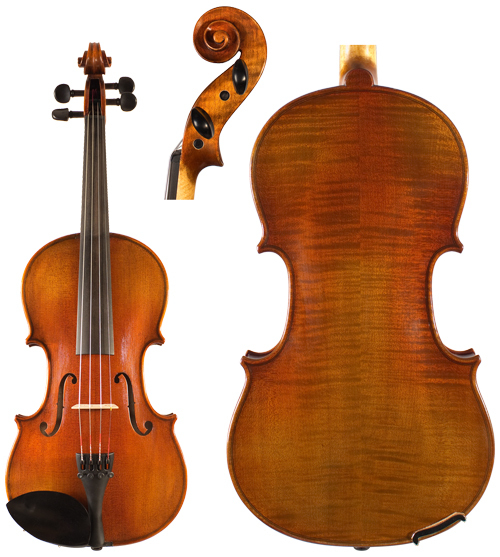 Cremona Violins are manufactured by one of the leading suppliers of Bowed Instruments in the United States. As you peruse our string orchestral products, you will find a full line of bowed instruments from beginning through professional. Each instrument is hand-made using aged natural dry maple wood and aged spruce. Each instrument is hand-made and hand-finished under the supervision of European-trained masters using the highest quality materials aged to perfection, and are set up by professionals in our L.A. workshops. Your satisfaction with our products and services is our number one priority. Click HERE to view all or to purchase. Great selection of violins for the beginning to intermediate student. Every instrument is inspected, set-up, and professionally adjusted before it is shipped. Excellent intermediate student instruments. Each hand-crafted and professionally finished to produce a nicely constructed instrument. In addition, these instruments produce even tone qualities of various richness and depth, and have plenty of resonance throughout. Handcrafted European String Musical Instruments. Made by experienced luthiers at the Kremona Studio, a company whose history spans 100 years. 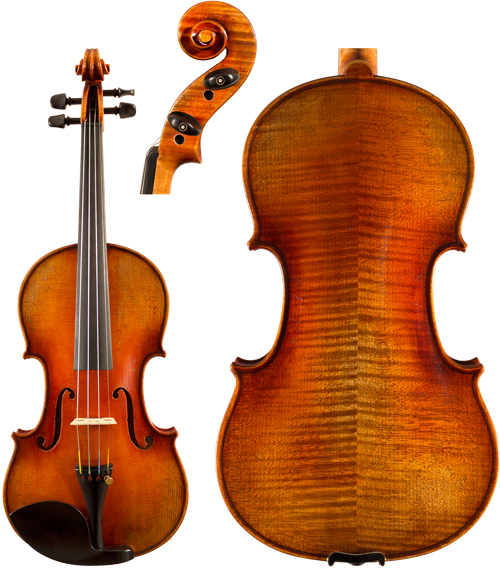 "Each model is made with exceptional attention to detail, perfect varnish and precise selection of well-seasoned wood from the Bulgarian mountains in the fashion of Stradivari and Amati." Each instrument "possesses the sweetness of fine italian violins while offering ample power, projection, and tonal complexity." Established in 1924. Combines three generations of violin making. A comprehensive line of quality string instruments. 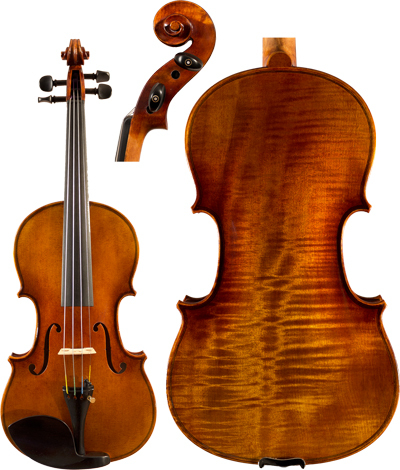 All instruments are crafted in Germany and modeled after the Stradivari and Guarneri models. Handcrafted violins from the European tradition. A great choice of instrument for the beginning through intermediate student. Professional set-up and adjustments.